Facility – Aqua EZ Packaging inc. The Aqua EZ Packaging facility is located in Atlanta, Ga (about 30 minutes west of downtown Atlanta and Hartsfield-Jackson Airport). We are within minutes of Fulton Industrial, and I-20. Our 200,000 square foot facility is equipped with everything needed to maintain high quality standards for our customers products. 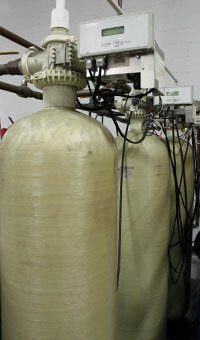 All water used in chemical filling and mixing is filtered to maintain a constant level for quality control. We strive to reduce our environmental footprint everyday. With energy efferent lighting, cardboard and metal recycling, and other implementations. Certified to package all EPA registered products. Our facility accommodates high-volume packaging operations and state-of-the-art warehousing space. We have been delivering comprehensive contract packaging solutions for more than 20 years. Contact us today and let our expert sales and service staff guide you towards the ideal packaging program, custom tailored to fit your specific needs.